The U.S. Olympic Committee, responding to the current Zika virus concern in Brazil, has told sports staff and athletes that they can stay home from the Rio 2016 games if they feel it to be best. 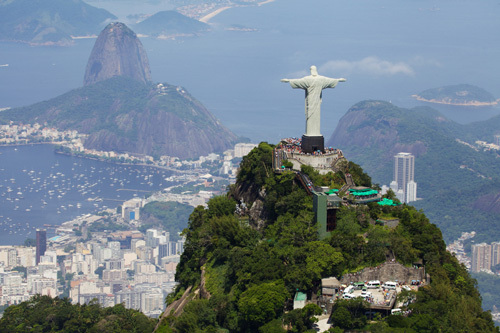 With the sudden emergence of the Zika virus as an international health concern, much speculation has been made of how the birth defect-linked illness will affect Brazil’s ability to host the summer Olympics. It is unclear how many other nations’ Olympic committees have given similar guidance to their athletes or how many people would take up the offer would it be presented. There are known Zika outbreaks in 33 different countries at this time, with most being in the Americas. Brazil is the current poster child for the outbreak since it was that country’s spike of over 4,000 microcephaly cases—a birth defect where the skull and brain are undersized—that lead to the current suspected link with the virus. Although only 20% of people infected show even mild symptoms, the risk to unborn children has mobilized health officials around the globe. Zika is just the latest line of issues that the Rio Olympics will have to grapple with. Among other issues the city needs to manage are that funding for many Olympic venues has been cut due to economic difficulties and that the city’s water venues are spectacularly polluted—aqua sports will be conducted in what amounts to raw sewage. How Zika will add to these problems will depend on what progress and discoveries are made by health authorities in the months leading up to the August 15th start of the games. Strictly speaking, Zika has not been clearly identified as the cause of Brazil’s microcephaly crisis. What is known is that prior to the virus’s arrival in the country, about 150 microcephaly cases were reported annually. Now, the country is investigating upwards of 4,000 cases and Zika is the current suspect. Somewhat complicating matters is that Zika has been endemic to Indonesian and Asian areas for the past fifty years with no detected microcephaly jump, as well as the fact that a recent survey found the microcephaly spike began in Brazil as early as 2012, at least two years before Zika is known to have appeared. Oddly, the survey also found an absence of other congenital defects that commonly occur alongside microcephaly, further raising the mystery. There is currently a travel advisory in effect aimed at women who are traveling to Zika-affected countries. The virus is believed to be most dangerous to fetuses in the early stages of pregnancy, when there is the greatest chance of the amniotic fluid becoming infected. Zika is transmitted primarily through mosquito bites, although there is one known case of sexual transmission and blood transmission is also possible. No vaccine or specialized treatment exists for the virus, but it can be tested for.